We provide a bespoke professional business support service for the boardroom, directors and senior management for large corporates to small-to-medium sized enterprises. These range from strategic planning, management development, marketing, executive recruitment and personnel solutions, pr, sales and business development. Those who need professional advice, guidance, direction, one-to-one hand-holding and want to overcome the challenges they face as their business grows. This can be on an ad-hoc, project-by-project, interim or retainer basis. Our team of specialist Business Advisers and Industry Experts, with their knowledge and skills, are committed to ensuring – through our extensive business experience – the advice and support given is both practical and implementable to ensure clients realise their potential. We help our clients make progress and achieve results previously believed to be out of reach, whilst passing onto our clients the necessary skills to sustain any development on an ongoing basis. 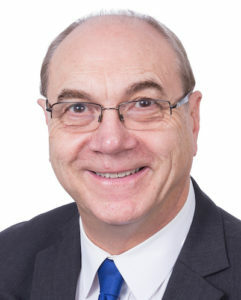 Barrie Pierpoint, Managing Partner, has spent over 25 years at Chief Executive and Managing Director level within a range of service industries, during which time he has gained a reputation for developing new opportunities and driving business forward. A former Group Plc Chief Executive responsible for turning around loss-making businesses to ensure profitable and sustainable enterprises, he has overseen a stock market flotation and developed new subsidiary companies, capitalising on business mainstream activities. Barrie and his Business Advisers work on a one-to-one basis with clients using their business and personal life skills, experience and knowledge to assist them develop their business successfully. Barrie was awarded the DHL UK Boss of the year in 1998, winner of the Ernst & Young’s Turnaround Entrepreneur of the Year Award 1999 for the Central Region, and a finalist of Leicestershire Business Personality of the Year Award 2005.